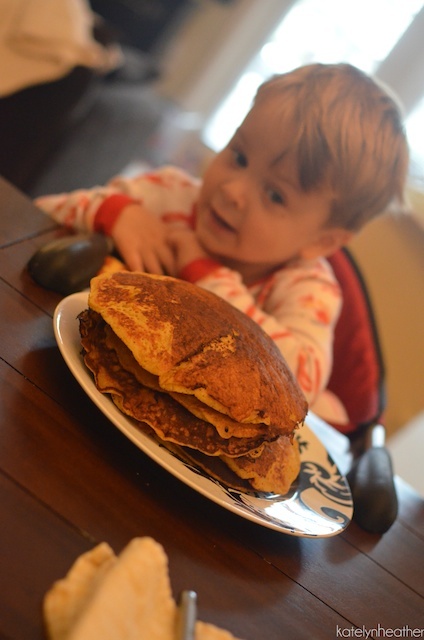 I have to give credit for this recipe to Landon, he is the pancake chef. Our house runs like that- we each have our strengths in the kitchen, and we stick to them. I make the cookies, he makes the popcorn. I make chicken pot pie, he makes spaghetti. 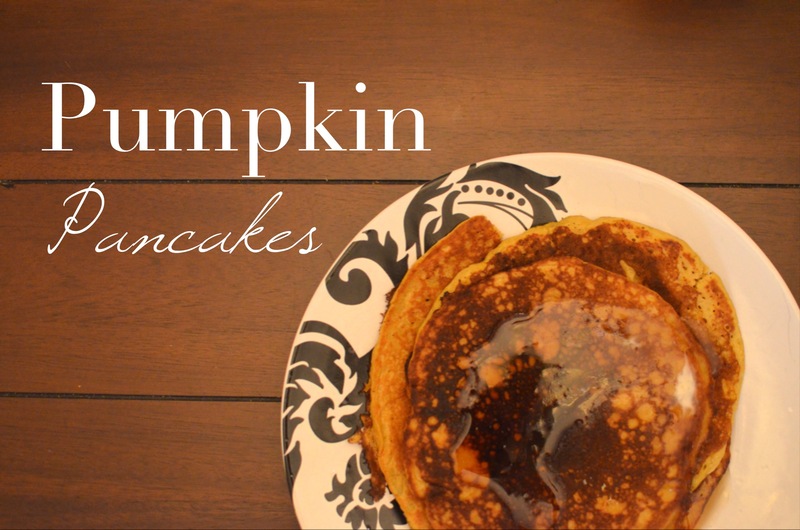 Pancakes, especially the pumpkin variety, are his specialty. And after my asking for the past year, he’s finally written down the recipe. Whisk together dry ingredients in a bowl. Mix together wet ingredients separately (if you have a Kitchenaid, that works great. And if you don’t a bowl & mixer, or even a handheld whisk will work too!) Gradually add dry mixture to wet and mix until just combined. Serve with maple syrup. Also really fantastic with roasted pecans too. I throw ’em in the toaster over for about 8 minutes at 350, & chop ’em up when they come out.